Today we are thrilled to bring our new episodes on no budget filmmaking, ides, creativity, telling stories every week in YouTube. So technically this is the first episode. We are doing this show so that we can pass our tips and techniques about filmmaking and other good stuff, also to connect with you and take you guys in our filmmaking journey. Also to inspire others and to be inspired. So lets start the show. On this episode we will talk about behind the scenes of our short film Rupees 500. If you haven’t watched it already please watch it now before I spoil everything in a minute. So how did the idea came? Last year I had to travel to Nepal last year for short period of time. I had carried some basic camera kit just to film some scenery and locations and I wrote in Facebook that if anyone interested to make any projects like short film or music video during my stay in Nepal then one of my friend from Australia, Bisham approached me with this story and asked me if I can shoot that film. Then I read the story I am just connected. I really liked the story. Although I didn’t have that much time for pre preproduction I was determined to shoot the film in guerrilla style as one man army. So recced the location, got permission to shoot in some shops, got 1 main actor and the rest of the casts was real porters. I had to go the main place where all those porters roam around. I explained them what they have to do and we did it. so I approached my nephew and niece to help me in sound, behind the scenes video, make up and some camera works. I was a director, producer and director of the photography for the film. 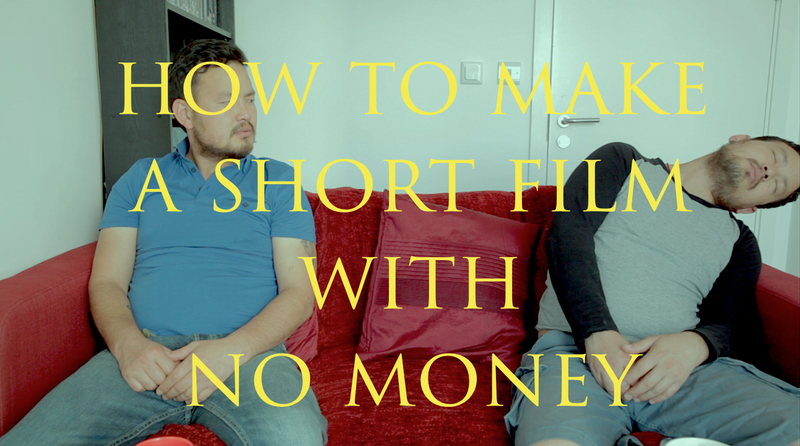 Normally to make a short film with no budget should be in one location. But in our film we moved quite a lot as there was not many crew. Film guerrilla style and just go and shoot. All the cutaways like mountain scene was my footage which I had captured when I was visiting around the place doing mountain flights, sunrise etc. Budget wise we might have spent less than 50 British pound for the whole film. Birkha Bahadur is local porter in Kathmandu Nepal who earns Rupees 500 one day and spends the next day debating what to purchase with that money but something is waiting in his fate.